Rail Safe is a team of world class experts in the area of railroad operations and safety. Each of our trainers have over 35 years’ experience in addition to hands-on and classroom instruction. Our instructors have spent their entire careers on Class I railroads. They have a lifetime of experience in their respective crafts, including locomotive engineers, switchmen, yardmasters, track inspectors, track repair, track design and supervision. They are all familiar with FRA rules and regulations. Their careers have spanned a period of railroading that has seen the industry lower their injury/frequency ratio dramatically, in some instances down to one. That’s less than one incident in the same time period that used to see 14 just a few years ago. How was that accomplished? TRAINING! Our instructors’ knowledge and experience in the railroad industry is unparalleled. 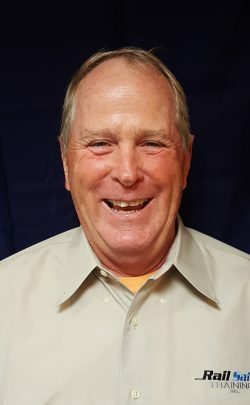 Chuck Leonard began his career with the Burlington Northern Railroad in the spring of 1973 as a track department laborer. In 1974, after attending one year at the University of Illinois, he continued with the BN as a summer track laborer. 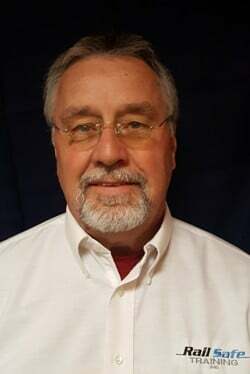 He attended the University of Iowa School of Business 1974-1975 and continued to work for BN as a summer track laborer with the intention of returning to University of Iowa School of Business in the fall of 1976. Instead, he was promoted to switchman/brakeman and was offered a position in the BN locomotive engineer school in December of 1977 where he graduated to locomotive engineer in May of 1978. From 1978 until retirement in January 2015 Chuck worked as locomotive engineer in passenger service (Amtrak), switch engine service, local freight service, mixed freight service, heavy freight service (coal, grain, taconite, etc. ), work train, and snow plow service. Over the years he had dozens of student locomotive engineers under his guidance. Charles founded Rail Safe with the intention of bringing the safe operating practices and procedures developed by Class 1 railroads to private industry. Ken Hay began his career with the Chicago & Northwestern Railroad (acquired by the Union Pacific in 1994) in 1972. As a trainman, his jobs included brakeman, conductor, switchman, and yardmaster. In 1997 he was promoted to Manager of Yard Operations and became the Manager of Terminal Operations (MTO) in 2002. As a MTO, he was responsible for supervising his territory and managing 25 rail-served industries along with the safe and efficient movement of train and yard movements. 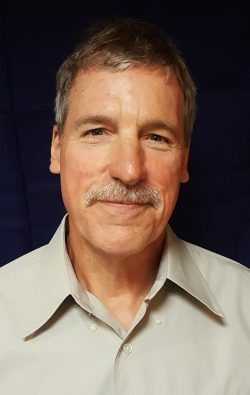 He was a leader of several safety teams, including derailment assessment, incident reenactment to find root cause, and public education of railroad crossing safety. He retired from the UP in 2009. Robert Maloney worked at Altria (Philip Morris) as a Sales Manager for 34 yrs. Robert graduated with a Bachelor of Science degree from the University of Illinois in 1976 and a Masters of Business Administration for St Ambrose University in 1987. As a Sales Manager, he brought a wealth of knowledge when developing sales strategies for key chain accounts that increased sales profitability. Due to his commitment and exemplary work ethic, Robert was selected to not only to recruit new employees but also train and develop new managers. 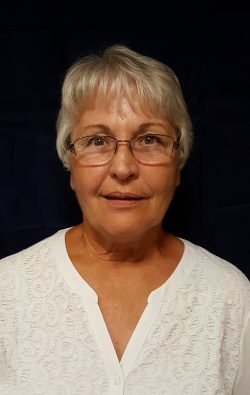 Barb Anderson began her career in freight with Burlington Northern and passenger service with AMTRAK as a brakeman, switchman, and conductor in North Dakota. In 1983, Barb moved to Minneapolis, MN where she was promoted to train dispatcher, relief chief dispatcher, and train master. In 1997, she was promoted to terminal train master in Sioux City, IA. She also worked as Terminal Manager in Memphis, TN and Springfield, MO, for a regional railroad, IAIS, as a Manager of Operating Practices, and as a private contractor doing computer based training for Union Pacific. In all disciplines, Barb was active on safety committees and promoted a safer work environment. In 2006, Barb started working for the Federal Railroad Administration as a Operating Practices Safety Inspector. Her primary duties included hands on inspections of Class I, Regional, and Short Line Railroads for compliance with Federal Railroad Regulations. As an inspector, Barb received the Superior Achievement Award and Inspector of the Year Award for Region 6. In 2012, she was promoted to Chief Inspector in Council Bluffs, IA where she focused on short line inspections, drug and alcohol compliance enforcement, and accident investigations. In December of 2015, Barb retired from the FRA with almost 40 years of service in the rail industry. 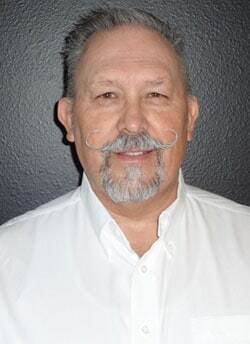 Steve Haley has more than 40 years of experience in the railroad industry. He started his railroad service as a brakeman and expanded his experience and responsibilities to yardmaster. He served as a switch foreman and utility man assuring each train safely entered and exited the switchyards. He was selected to assist with hiring new employees and his expertise in employee selection led to the hiring of several long-term employees. Steve was also a member of safety committees and mentored multiple classes of new employees, ensuring the education of safe operations in a rail yard. Steve retired from the BNSF in 2012. Jim Sandman began career at Burlington Northern Santa Fe Railroad. Working as trainman, he held positions of switchman, brakeman, and was promoted to conductor. He completed a certificate of Quality Concepts Q90, a program designed to improve processes and set standards in the workplace . In pursuit to increase public awareness, Jim taught railroad safety to elementary and high school students through Operation Lifesaver. 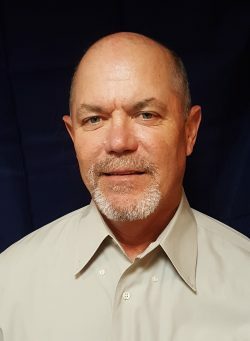 He was selected to represent the Sioux City, IA terminal at the local and state level as a safety rep for 15 years and co-chaired the terminal safety committee for five years. He was also responsible for performing terminal and subdivision physical plant safety audits. Jim coached, mentored, and trained new hires. He retired from BNSF in 2012 with over 35 years service. 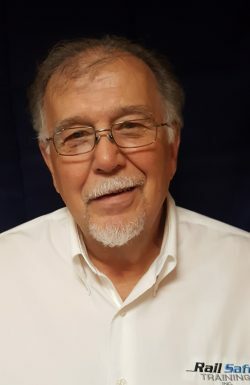 Wesley Hazlett began his career working freight with Burlington Northern and passenger service with Amtrak in 1968 as a switchman and conductor. Wes was promoted to locomotive engineer service in 1979. During the next 30 years he completed certification of Quality Concepts Q90, became a Safety and Rules Trainer in a terminal of 150 employees, worked with Operation Lifesaver as a facilitator and chaired the focus group to make recommendations for improved operations at a facility. He also served on the Willmar terminal safety committee. He retired from the BNSF in 2009. 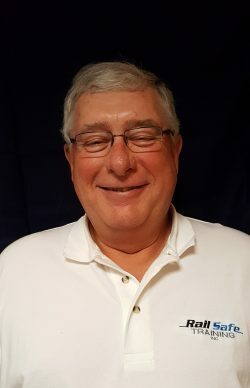 Gary Moller started his railroad career in Boone, IA on the Chicago & Northwestern Railroad in May of 1980 after serving in the USAF Iowa Air National Guard and selling Carroll Bowl in Carroll, IA. He worked as a switchman, switch foreman, and brakeman. In 1984, Gary was promoted to conductor and was promoted again 1993, to locomotive engineer service. As a conductor and engineer, he worked all classes of service: freight service, container trains, local service, work trains, switch engines, and loading and unloading of coal trains in coal fields of Wyoming. Gary was part of CNW/ Union Pacific merger in 1996 and during the merger with Union Pacific he was trained on their territories. 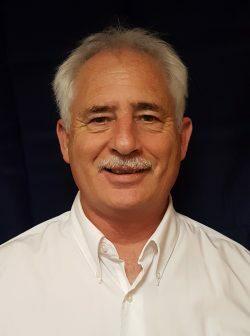 Due to his extensive knowledge base, Gary was elected to train UP engineers on CNW territories, train CNW on train control setup and operation and trained new hires during classes. He was a member of the Iowa Legislative Branch and President of local 699 while on CNW/UP railroads. After 33 years of service, Gary retired from Union Pacific in November of 2013. Steve Fitzpatrick has over 40 years of railroad experience. 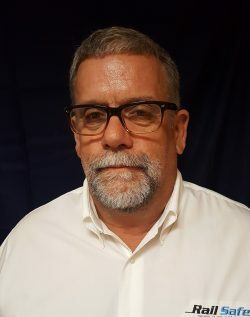 He began his railroad career in 1973 with the Chicago Northwestern Railroad as a brakeman and was promoted to conductor in 1976 working several different assignments including switching operations and freight positions. In 1996, the Chicago Northwestern merged with the Union Pacific Railroad. He continued his railroad career at the Council Bluffs Iowa Terminal and Fremont Nebraska Terminals. He was also involved with Operation Redblock, a drug and alcohol program that recognizes and helps rehabilitate employees so they can return to work. He was also instrumental in getting Total Safety Culture off the ground in the Sioux City area. TSC is a joint effort between labor and management to identify and rectify problems in the everyday workplace environment. He retired from the Union Pacific Railroad in 2013. Leo Mikkelson graduated from the University of South Dakota in 1974 with a Bachelor’s Degree in Communications and Pyschology. After graduation, he joined the US Army where he attained the rank of Captain. He served a three year tour in Germany where he was a Missile and Munitions Officer and led a platoon that focused on operation and service of defense missile systems. Leo continued his military service in the Army Reserves where he was promoted to Captain and Major. In 1989, Leo began his railroad career with BNSF as a switchman, brakeman, and conductor. In 1993, he was promoted to locomotive engineer and led monthly safety awareness classes and audits. He has an unwavering commitment to railroad safety and embraces the motto “if you see something, say something”. This belief, and his observations, led to his leadership in the Enhanced Safety Program, a classroom based, formal curriculum which was designed to eliminate at-risk behavior built on rail yard observations and company initiatives. Leo retired from BNSF Railroad in 2016. 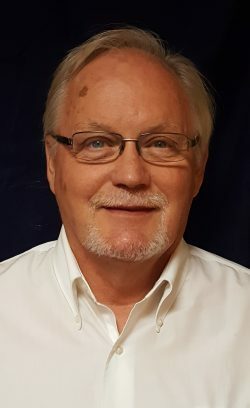 Mike Wacker began his career with the Burlington Northern Railroad in the fall of 1975 as a mechanical round house Labor at Alliance, Nebraska. Over the next 4 he worked through a mechanical apprenticeship and qualified as a diesel mechanic working all forms of locomotive repair & federal inspecting. In April of 1979 Mike was promoted to a foreman of locomotives and completed his mechanical career in 1993 as an assistant General Foreman. Mike was promoted to a Trainmaster position and over the next 24 years worked as Trainmaster, Division Trainmaster, Terminal Manager, Assistant Superintendent, Chief Transportation Officer, Terminal Superintendent, and Superintendent of Operation.